We have provided info about the most common feline health problems. The information provided is presented in a clear format with basic, straight forward info and is uncluttered by complicated medical terminology wherever possible. The headings cover a description of the disease, causes, symptoms and treatments and will help to clarify any questions you may have regarding the illness. 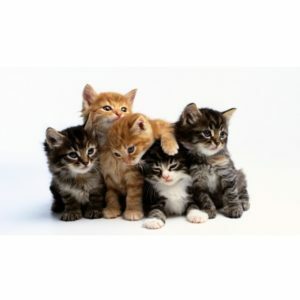 As the saying goes prevention is better than cure and detecting early signs of any potential cat health problems will obviously help to ensure the well being of your cat or kitten. Basic observation of a cat or kitten will alert its owner to changes in the normal behaviour of the cat and that there may well be something amiss. A straightforward check of the cat will help to confirm any suspicions of ill health.